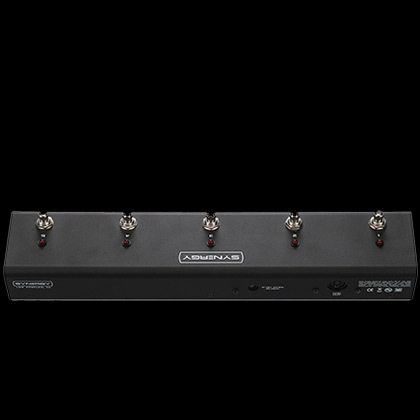 The R5 pedal is essentially a 5 button MIDI pedal that is preset to send program change commands 1 through 5 on MIDI channel 1 - specifically designed to control your SYN-2 (rack mount hardware unit). 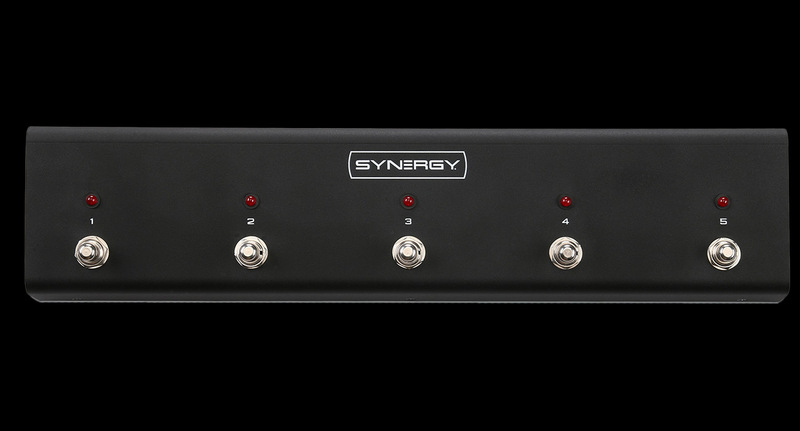 Your SYN-2 will come preprogrammed to respond to modules channels 1 through 4 on buttons 1 through 4 of the footswitch. Button 5 will be assigned to BYPASS. You can change/assign any module channel or bypass to be on any buttons you wish by following the programming instructions of the SYN-2. 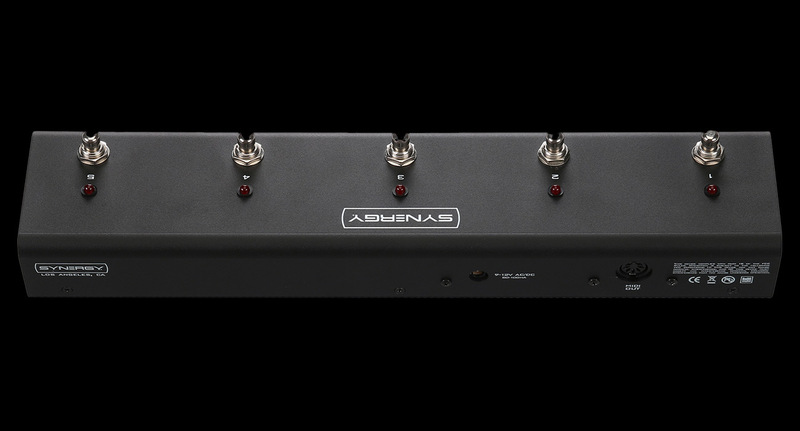 The R5 pedal can operate from any power supply that puts out 9 to 12 volts AC or DC and has a current rating of at least 50 milliamps.